46 mornings in a row precisely at 9:00 a.m. The value of being determined and consistent became Very Real to me many years ago when I was trying to get Wal-Mart (when they had only 66 stores) to buy my product. I called my buyer every morning, precisely at 9:00 a.m. I did not call at 8:57 a.m. and I did not call at 9:02 a.m. I called for 46 mornings in a row precisely at 9:00 a.m. On the 46th morning, my buyer’s assistant told me my buyer would see me at 11:00 a.m. that day!! Well, the rest is history and the consistency of that phone call started a chain of events that changed my life and grew my company to 70% worldwide market share … far beyond my wildest dreams. This lesson came back to me on Friday while lunching with a group of colleagues. One in the group said he had called a potential client 3 times and he stopped after the third call assuming she didn’t want to do business with him. I told him my Wal-Mart story hoping it would inspire him to continue his chase. I do believe today we need to find unique and clever ways to reach those we want to do business with. Maybe 46 consecutive calls won’t work today as well as it did back in the 1980’s. So many emails…Too many voice mails…Snail mail; what’s that?? What about reaching those folks by giving them something that will help with their work load. Send them information they can use with no expectation of getting anything in return – except you implant the thought in their minds that you are someone who is generous, knowledgeable, and helpful. Quietly kill them with kindness and they will take your call and be more receptive to your needs. Please share what tips you have that helps you reach hard-to-reach contacts. I know there will be some interesting techniques from which we all can benefit. Can you create business value with social media? Social Networks: it’s not about quantity but quality. There are numerous social networking sites, be on as many as you can keep current. Get off the ones you don’t actively participate in and stay “social” with by making at least weekly solid contributions. Sign up for Google alerts: who’s saying what about you? If you don’t know you should. This is (usually) a good thing. You want to know where reviews appear so you can a) link to them and b) thank the person who reviewed you or mentioned you on their blog or web site. Get a blog: in order to get on blogs, you must have a blog but it’s more than just having one, it’s about keeping it updated. Participate: In order to reap the benefits of the online world you must participate. This goes back to the social networking site and your blog. Three online rules that will never steer you wrong. Don’t get greedy: lead with the benefits, not the dollar signs. What I mean by this is that if you’re going online to make a quick buck, get out. You might make a few dollars but success will be short lived. Network: it goes without saying that networking (especially online) is important. Web site: don’t just get one, get a good one. You’d never think to show up for a car race with a scooter. Don’t even try to go online with anything less than a professional web site. While I know it’s tempting to do it yourself, most folks always end up regretting it. “My web site is fine.” They’ll say till you ask them how well it’s selling for them. If the answer is: “it’s not” then you need a new site. Show up online with a site that reflects your expertise, creativity, and message. This is one race you can’t afford to lose. You will know your online presence is strong when a growing number of people have an interest in your topic or genre keep finding you in the places where they spend time online. Having a web presence means your articles, posts, and comments appear on prominent sites catering to your subject matter. It means your name keeps popping up on active discussion forums related to your topic. Best of all, you know your presence is growing and having your desired impact when your email newsletter is forwarded to your following’s friends. Thank you to everyone who forwards these posts on to your friends. Hearing from you helps me know which marketing direction is most helpful to you. I value your involvement, your input, and your community. Much appreciated. 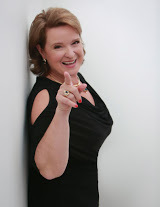 Marcia Reece is the #1 Bestselling author of Secrets of the Marriage Mouse and The Ultimate Online Media Directory. She serves as the founder of Aspen Support Group. Her latest book is available on her website at www.marciareece.com or on Amazon.com. As many of you read last week, I was smacked up aside the virtual head when I made a social media mistake. Since that time, my focus is on learning how to engage in social media correctly. One of my peeps asked me how long I had been using social media. I told her just a little over two years. I first put up a website and blog while I was writing my first book. I had been on FB and LI but not in a serious manner for a bit longer. She laughed and told me not to be so hard on myself. She started her site and social media reach in 2001…14 years ago!! No wonder I feel so stressed out that I am so far behind the curve. Another of my peeps is hosting a 10 Deadly Sins webinar on May 8. I signed up!!! I know I will learn how to correct a few more of my errors there. Just this morning, I was IM’ing another peep. I had a long-time friend whose emails were suddenly ending up in my spam. I IM’d him and he told me there is a “Not Spam” button which should put her back in my correct email. Well, guess what? He was right. I checked the box by her email in my spam folder, and presto!! Her emails are now being correctly sent to my inbox. This helpful peep also gave me a very brief one liner which is helping me learn how to use hashtags. It works. It really truly does work. Social media opens a whole new world to those who want to learn the correct ways to engage it. I’ve made so many mistakes learning, but I certainly want to thank Carol Naff, Aaron Stephens, Harmony Thiessen, Debra Jason, and Kelly Mirabella and so many, many others who have helped me (kicking and screaming) come into the virtual world. Today, I’d like to share an email full of great advice I received from my colleague Shel Horowitz. Shel, wise advise and I agree with you 100%. It’s all about Relationships! And never miss a moment to build or enrich a relationship. Great words of Wisdom for all the member of TCO as well. Make this a day you won’t forget for a while.